THE ULTIMATE DRUM INSTRUCTION FROM A TWO-TIME GRAMMY AWARD WINNER. 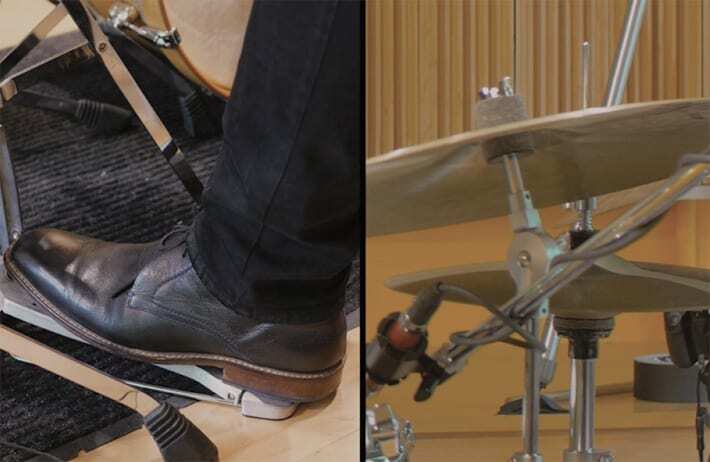 Brushes, solos, independence of the limbs, speed, touch, phrasing, and gear are just some of the topics covered in Finding Your Beat. 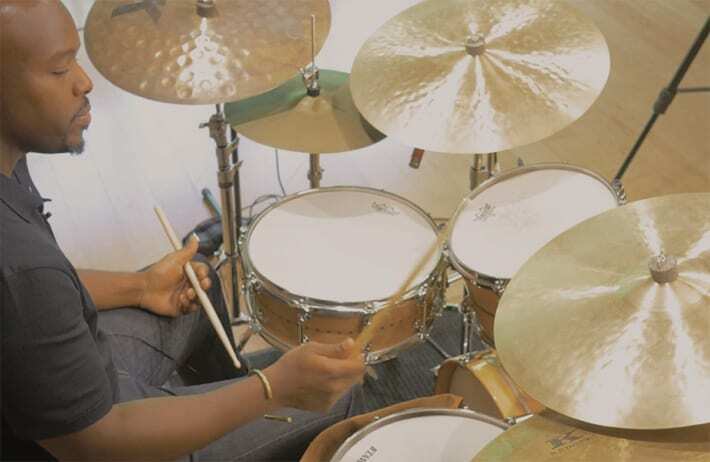 Whether you've just started playing drums, or have been playing all of your life, Ulysses Owens Jr.'s knowledgeable, comprehensive approach will help you take your playing to new heights. Get hip to the players and the history of the instrument that has made it the irreplaceable force in the music we know today. With almost 5 hours of lessons, Ulysses guides you through styles and techniques used by some of the original masters of jazz. Lessons on touch, brushes, ride patterns, speed, sound, and so much more. Resources, links, and recording recommendations; as well as gradient speed control and A/B looping make using this course a breeze. Don't miss a beat with these powerful features. 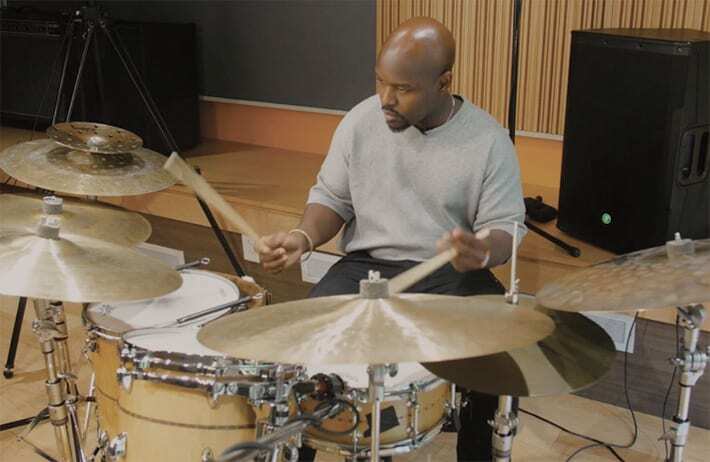 Ulysses Owens Jr. is an artist “who takes a backseat to no one” – The New York Times – seems to describe his remarkable ascent as one of today’s premier drummers, or perhaps, his evolution as a producer, composer, educator, and entrepreneur. Owens has established himself as a leader in his generation of jazz artists, admired for his sensitive, fiery and complex playing, vivid display of textural nuance, and gift for propelling a band with charisma and integrity. 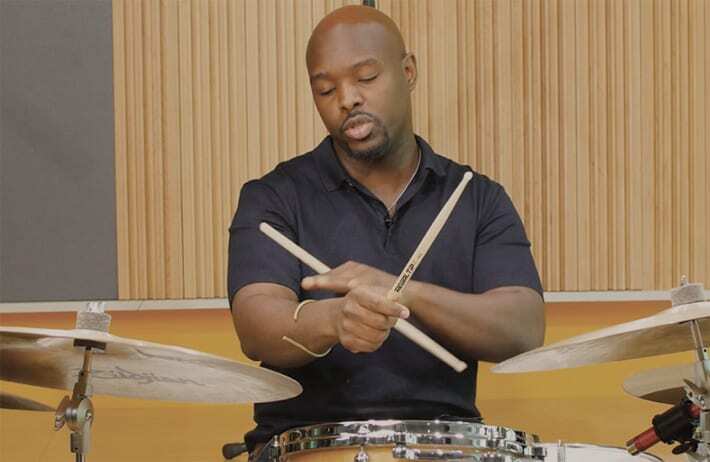 Both humble in person and imposing behind a kit, he is a graduate of the inaugural Jazz Studies Program at The Juilliard School, a two-time Grammy® Award winner, and he earned his stripes as a member of bassist Christian McBride’s acclaimed trio and the driving force of McBride’s big band. Ulysses received his first Grammy® in 2010 for his performance on Kurt Elling's "Dedicated To You", and his second Grammy® for the Christian McBride Big Band album "The Good Feeling." In addition to the two Grammy® Awards, he has also received four Grammy® nominations for his work with Christian McBride and Joey Alexander. 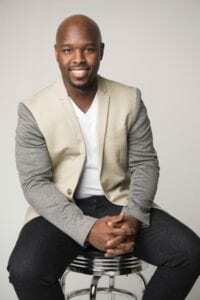 Owens is incredibly versatile and has toured and recorded with artists including Christian McBride, Wynton Marsalis, Kurt Elling, Diane Schuur, Renee Fleming, Monty Alexander, Russell Malone, and Mulgrew Miller. Ulysses has released three albums of his own beginning in 2009 with “It's Time For U”, which featured four original compositions and arrangements. His second album, “Unanimous,” was released on the European jazz label Criss Cross, and “Onward and Upward” was released in 2014 on the D-Clef Record Label. As co-leader of New Century Jazz Quintet, he has released two albums with the Japanese record label Spice Of Life, “Time is Now” and “In Case You Missed Us”. In the summer of 2015, he was recommended by Wynton Marsalis and Jazz at Lincoln Center to compose a work for the Museum of Modern Art Summergarden Series, and he premiered “Stages Of Us”, a seven-movement suite, at their sculpture garden. Ulysses has been honored with a 2015 Jazz At Lincoln Center Swing Award, 2014 Global Music Award, 2013 ASCAP Plus Award, was designated a 2014 Downbeat Rising Star, and appeared as a TED X Jacksonville performer. He continues touring extensively and remains in demand for new projects.